We’ve been thinking a great deal about how to grow a legacy in plant-form. The kind of horticulture from which dynasties spring. And it couldn’t be simpler. For those looking to grow one or two very large plants there really is no better option than easy2GO. 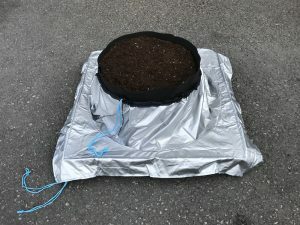 Take a flat-based tray of almost any size desired and a reservoir, place the easy2GO Kit directly onto the tray along with your potted plants, connect the kit up and the kit will distribute water to the pots from below. However, for all the easy2GO offers in flexible capacity and ease of use, we’ve seen a tweak or two, garnered from growing experience, to take our classic product to a new level. Grow in one of our pot and tray systems and you’ll be overjoyed by the snug-fitting pots and valve section lids that prevent algae, organic or inorganic matter dropping in and interfering with your masterpiece. There are no open spaces on such systems, everything is dignified and concealed. So what easy2GO needs is a bit of skirt in order to protect the modesty of open trays and deflect the flirtatious advances of ne’er-do-well detritus. AutoPot PlantSkirt does just that and flexibly fits the bill across a wide range of tray sizes. 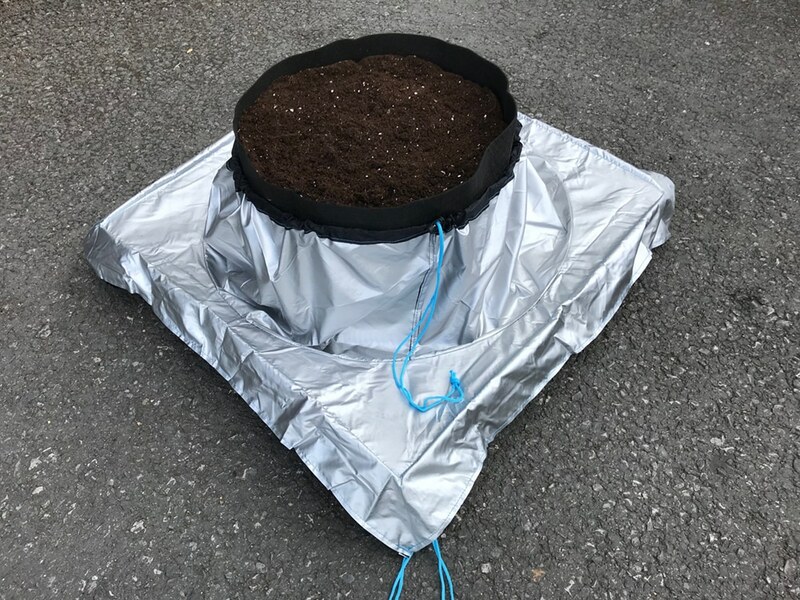 In it’s initial incarnation the PlantSkirt will fit trays from 80cm to 100cm accommodating a pot with a max diameter of 70cm. Plus it looks like something from outer space! Prepare yourself for intergalactic levels of convenience – coming soon!